A Wirst Blood Pressure Monitor will give you correct reading if you are using it exactly as mentioned in the instruction manual. Some people will find it difficult to use an upper arm bp monitor, due to very large arm. They will even find it painful to use an upper arm bp monitor. A wrist bp monitor will be the ideal solution for these kind of people. 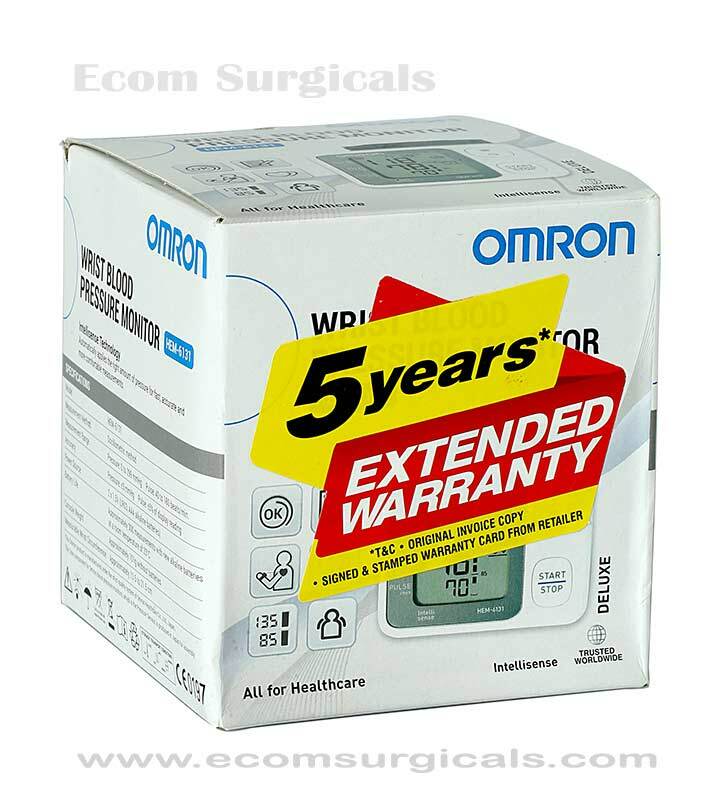 Omron HEM 6131 is a popular wrist blood pressure monitor available in India. Also it has many features, which we will discuss later in this description. In recent years, there has been the tendency of obesity and hypertension of young age. 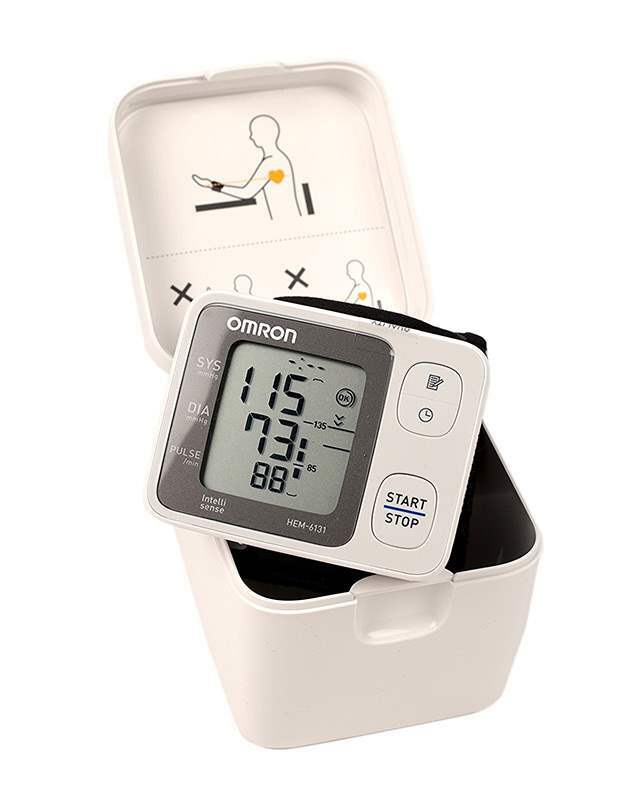 Omron has created this Wirst Blood Pressure Monitor by keeping in mind that many of those living with hypertension are young and active. These are the people always on the move. They need to know their BP sometimes in office, another time in a car or even in a restaurant. 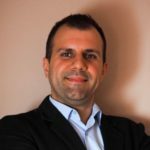 Thus mobility, discreetness and connectivity has become essential elements of a device rather than extras. INTELLISENSE TECHNOLOGY: OMRON HEM 6131 uses the required amount of pressure automatically and gives you accurate, fast, and more comfortable readings. With enhanced digital display, it makes an easy reading of results. Irregular heartbeat detection is another feature. There is an indicator for blood pressure level. It detects your body movement and alerts you. This monitor has a memory for 60 sets of reading with date & time. Measurement Posture Guide: It guides the user to the correct position of the wrist for reliable measurement results. Ease of use, as there is no need to wear the cuff on the upper arm and thus fold the clothing. Folding the cloth is not always practicable especially in cold climate or when you are outside. Easy to carry, they are compact enough to carry even in a cosmetic bag or office bag. Also they comfortably fit into a laptop bag. You can use it anywhere, since wearing of wrist cuff does not require any effort. Thus one may use it whenever and wherever the need arises. It offers discreetness.These gadgets are just small. They do not create noise while operating. Thus one can use them without getting the unnecessary attention of others. They are highly mobile and connected, with some upscale models providing better connectivity with health-related apps. 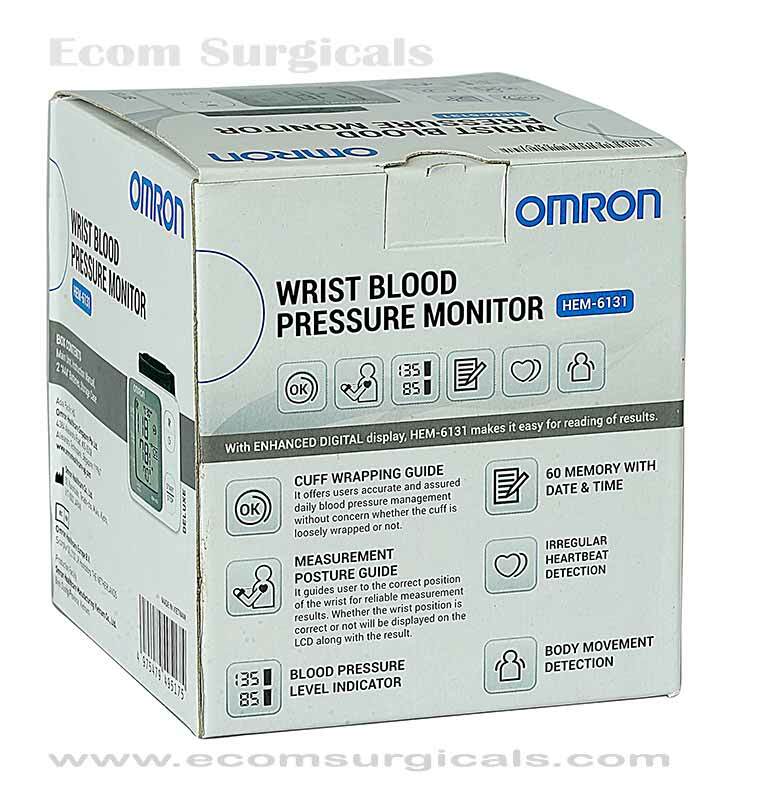 Omron HEM 6131 Wrist Blood Pressure Monitor is best suitable for people who are always on the move and for the working class. Electronic Upper Arm Blood Pressure Monitor: Most physicians prefer an upper arm bp monitor to measure your blood pressure. This is because upper arm bp monitors gives you accurate results in most of the cases. However, some upper arm monitors are very large in size and this makes it uncomfortable for some patients, especially for those who are travelling much. Digital bp monitors inflate self. Some models let you to upload readings to your laptop or mobile. For operating an electronic bp monitor, you need a source of electricity. Most of the electronic bp monitors operate on batteries. Also there are electronic bp monitors which comes with A/C adapters. Electronic Wrist Blood Pressure Monitor: A wrist bp monitor is significantly more discreet and smaller than upper arm blood pressure monitors. Some people will find accuracy problems with wrist bp monitors. This is mainly due to the reason, you are not following the correct methods and techniques as per the instruction manual. Today technology has advanced much more and most of the Wrist Blood Pressure Monitors will give you accurate results. Sphygmomanometers: Old-fashioned manual mercury bp monitors are very accurate and most of the doctors use it for their clinical purpose. Also these are economical comparing to electronic bp monitors. Moreover, it doesn’t require battery or electricity to operate. However, it will be difficult to use for a self test or home monitoring. We are living in an era of wearable gadgets and point of care diagnostics. Hence no doubt that most of the traditional diagnostic devices are getting better, compact, slimmer, and connected. So why not to consider a sleeker and more comfortable to manipulate blood pressure monitor. Yes, many companies, including one of the most trusted name in blood pressure monitoring, Omron have introduced wrist BP monitors. Need for something that is easier to operate, use, and carry has long been felt, and now this gap has been filled. Every disease or health disorder has some level of stigma attached to it. No one likes to be stared upon when monitoring blood pressure; no one wants to get undue attention. Wrist BP monitor is small, easy to carry, operates silently, and quickly provides the accurate reading of the blood pressure. There are some concerns about the accuracy of these devices since blood pressure varies in arteries at various locations. But one does not need to worry. Calibration of wrist BP monitors are better at the manufacturing plant itself. Hence it provide readings close to those achieved by traditional monitors with cuff placing on the upper arm. Thousands if not millions of users are witness to the accuracy of these compact instruments. When it comes to accuracy, yes they may be slightly less accurate than BP monitors for the upper arm. However, it is vital to understand that this difference is so minute that it does not hold any importance in practical life. Such minute differences has only a role in clinical conditions like in an ICU. But then these gadgets are not for ICU use. These devices have been created to give you 95% of accuracy, at any place, and at any time. 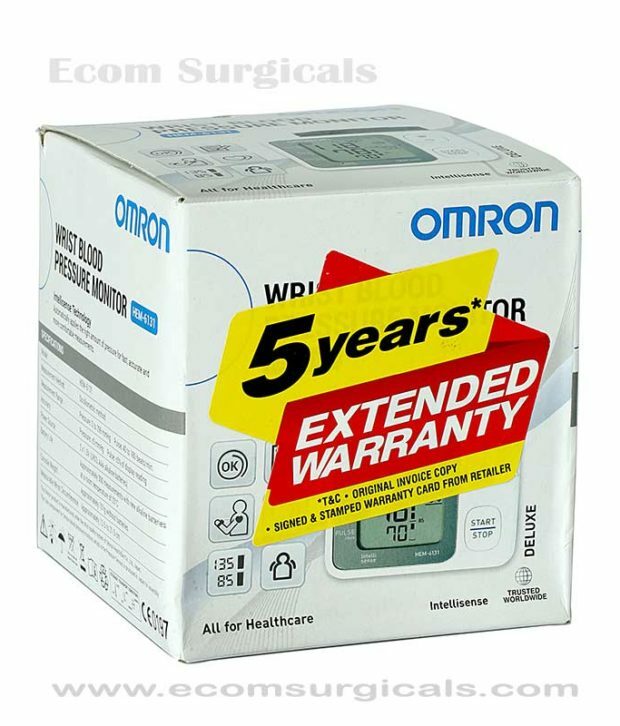 So if you have an active lifestyle, Omron HEM 6131 wrist blood pressure monitor may be an excellent choice, not to mention that they have amazing contemporary looks.